Dark Chocolate & Peanut Butter Cookie Poppers, a fun and easy cookie recipe with a secret ingredient that will “pop” in your mouth. If you like chocolate and peanut butter, you’ll love this Dark Chocolate & Peanut Butter Cookie Poppers recipe. I wish I had some super-exciting-over-the-top-creative story about how I came up with these cookies. But truth is, I was just craving chocolate and peanut butter. There, I said it. Yep, I was craving chocolate and peanut butter! 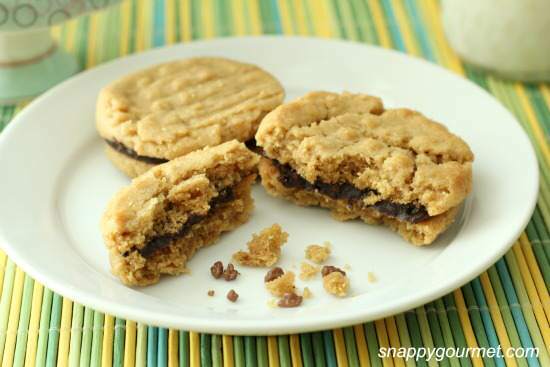 These Dark Chocolate & Peanut Butter Cookie Poppers are chocolate and peanut butter sandwich cookies with a secret ingredient! 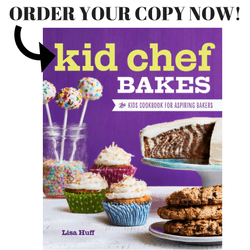 The secret ingredient will make them “pop” in your mouth so read on to find out more! Yum! 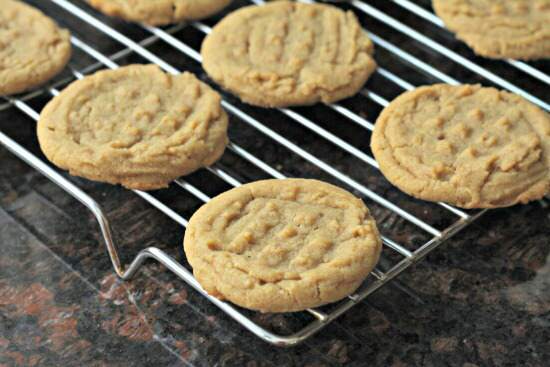 These cookies are packed with peanut butter for a rich peanut butter flavor. 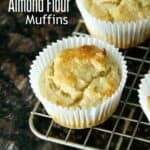 I used Natural Jif Peanut Butter and they were full of peanut butter flavor. Mmmmm…. 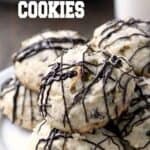 All the ingredients are easy to find and these cookies are easy to make. 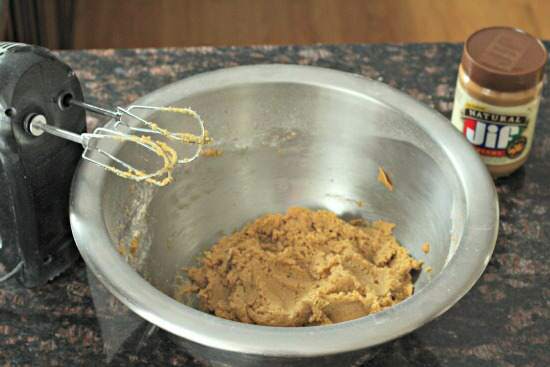 One of the secrets of getting soft cookies is using brown sugar rather than granulated sugar. 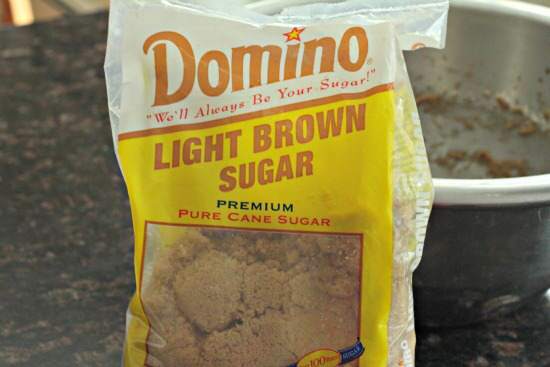 I used Domino light brown sugar, but you could use dark brown sugar if you like the darker more molasses flavor. Once you make the dough, you can refrigerate it or make the cookies right away if you’re in a hurry. I used a small scoop (about 2 teaspoons) to ball up the cookie dough, and placed the cookie dough on parchment paper lined baking sheets. 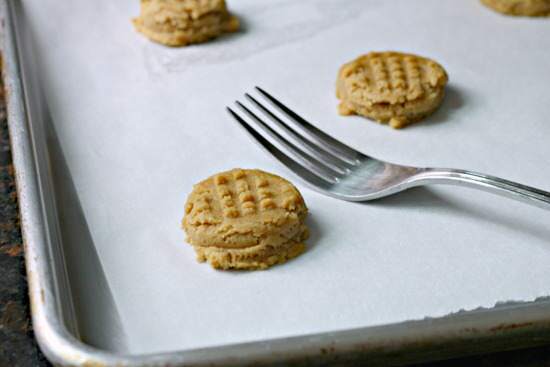 You can use a fork to push the peanut butter cookie dough down or you can skip this part and the cookies will turn out just fine. 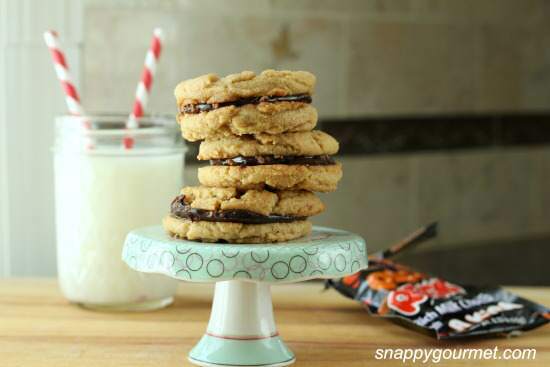 They won’t have the classic “criss-cross” peanut butter look but the cookie dough will flatten out. I know this because I stuck a sheet in the oven and realized after I hadn’t used a fork. Ooops! Be very careful to NOT overbake the cookies. They may look a little undercooked but should be just slightly browned underneath. They go from perfect to overcooked in NO time! 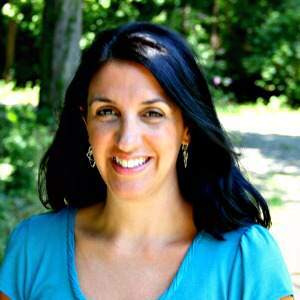 They will firm up slightly when they cool and will stay soft for days! Not sure how many days because they were gone quickly! While the cookies are cooling, make your chocolate ganache. I used Hershey’s dark chocolate chips but you could use any kind of chocolate such as semi-sweet, bittersweet, or milk chocolate. I turned all my cookies over and spread some chocolate on each cookie bottom then sprinkled my secret ingredient on top…. POP ROCKS! You might remember my obsession with Pop Rocks last year when I made Watermelon Poptinis and Mini Strawberry Shortcake Poppers. Yum!! Next time I make these cookies I will add a lot more Pop Rocks or I would form the cookie sandwiches THEN add the Pop Rocks to the sides of the cookies around the side on the chocolate. As the Pop Rocks get soft in the chocolate they don’t “pop” as much, so I would suggest serving them right away or like I said, put the candy around the edges. That should help a little. 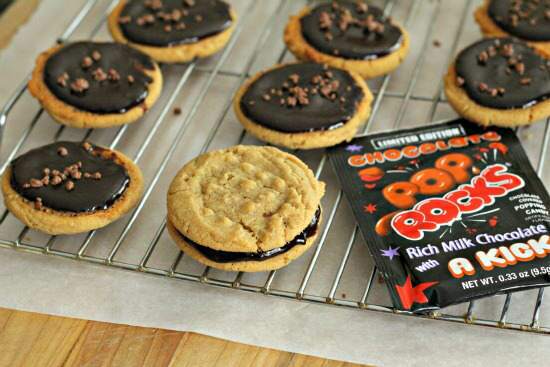 You could also not make these cookies into sandwiches but rather frost each cookie with the chocolate ganache and sprinkle the Pop Rocks on top right before serving. So many options! However you decide to make them, they are still really good cookies! How can you go wrong with chocolate and peanut butter??? 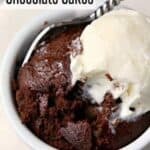 The chocolate filling will firm up as it cools. 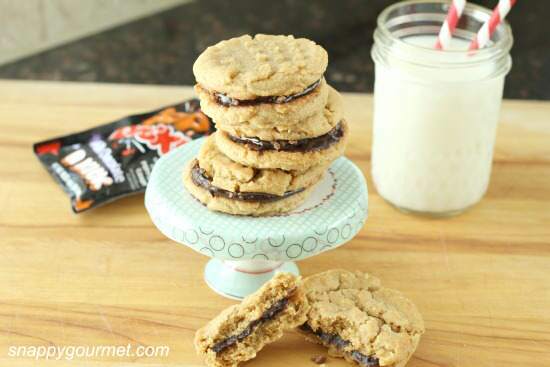 These cookies will melt (and “pop”) in your mouth! You might need a big glass of milk for these babies!! If you like chocolate and peanut butter you might also enjoy my Mini Buckeye Cheesecakes! Enjoy! 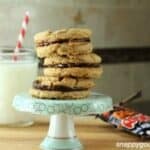 Chocolate and peanut butter sandwich cookies that will "pop" in your mouth thanks to a secret ingredient. Preheat oven to 375 degrees F. Line baking sheets with parchment paper (or line with silpats or leave sheets ungreased). In a large mixing bowl, beat together peanut butter, butter, and brown sugar with electric mixer on medium speed until well combined. Beat in egg and vanilla. 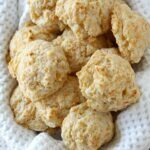 In a separate bowl, combine flour, baking soda, and salt. Beat into cookie dough until combined. 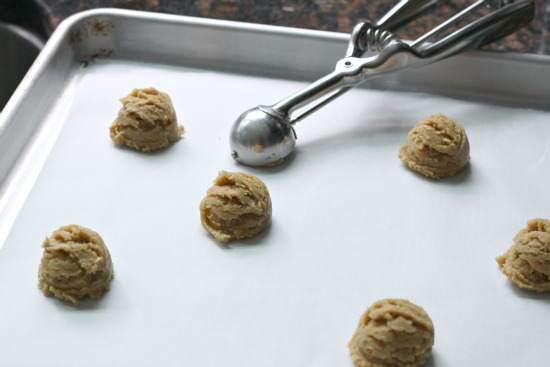 Using a 2-teaspoon scoop, scoop dough and drop onto prepared baking sheet(s). If desired, use a fork to form a criss-cross pattern on top of cookies. Bake cookies at 375 degrees F for about 7-9 minutes or until just lightly browned underneath being careful not to overbake. Cool completely on wire racks. Place chocolate chips in small bowl. Place heavy cream in microwave safe bowl. Microwave cream on high for 30 second intervals until hot and bubbly. Pour over chocolate chips. 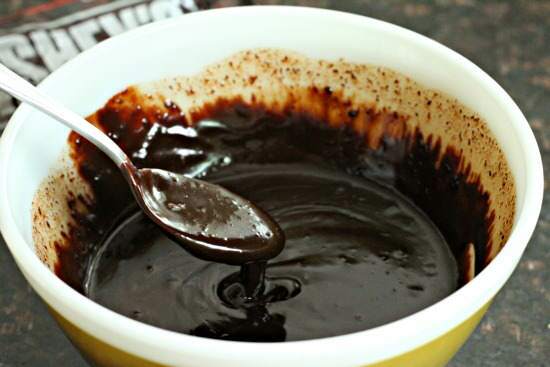 Stir until chocolate has melted and mixture is smooth. Cool slightly. Spread chocolate filling on bottom of each cookie, sprinkle Pop Rocks on top of chocolate, then combine two cookies to form sandwich. 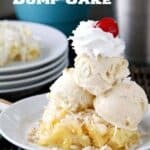 Serve immediately or store in air-tight container. SNAPPY TIPS: The longer the Pop Rocks sit in the chocolate and get soft the less they will "pop" so serve cookies immediately or instead of putting Pop Rocks inside of cookie put them around the edges of the cookie/chocolate just before serving. Instead of forming sandwiches, you could also frost cookies with the chocolate and sprinkle Pop Rocks on top. 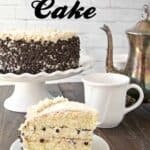 SNAPPY SUBSTITUTIONS: Instead of dark chocolate chips, you can use any variety of chocolate chips such as semi-sweet, milk chocolate, or bittersweet. You can also use any flavor of Pop Rocks such as strawberry. Aw! These would have been the perfect beauties to make on April Fools day! Oohh.. these taste so good in my mind already. I’m so anxious to give these a try! What a fun, and sneaky idea. I’d love to see the look on my husband’s face when he took a bit of one of the cookies and experienced the popping. I’ll have to keep my eye out for those chocolate pop rocks. I haven’t seen chocolate Pop Rocks…where did you find them? They can be a little tricky to find. I usually see Pop Rocks in specialty candy shops although sometimes I have seen them in the grocery stores. I believe there may be some online retailers as well. I love the secret ingredient. I haven’t had pop rocks in years. Wow I haven’t seen chocolate pop rocks before! I love all things chocolate and peanut butter! Thanks for the link!